Come see Shelley talk about ephemera, one of her favorite subjects, at the Tenderloin Museum in central San Francisco. The event centers around their current exhibition on matchbooks and also features the loved Type Camp Neon contributors Randall and Al of SF Neon talking about the signs of the places featured in the exhibit. 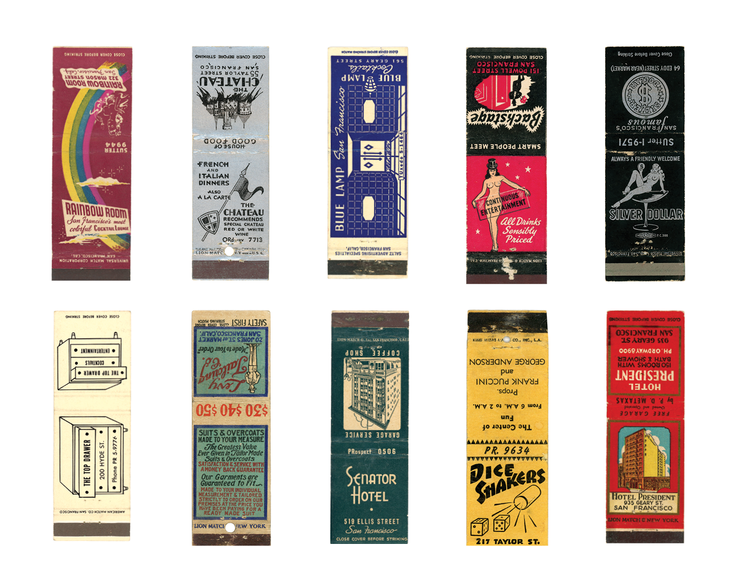 You’ll also have an opportunity to buy the exhibition book,The Match Book: Vintage Matchbooks from San Francisco’s Tenderloin, which is quite wonderful as it features a spine where you can strike a match (of course! ).